Eoin O’Duffy was born in Laragh, Ireland in 1892. As a young man he worked as an engineer, architect and auctioneer in Wexford and Monaghan. 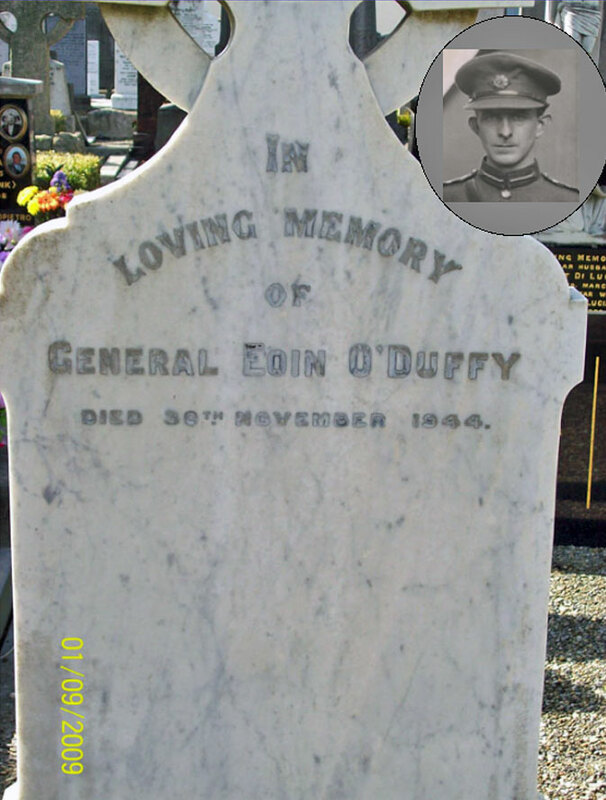 O’Duffy joined the Irish Republican Army (IRA) and by the end of the First World War was commander of the Monaghan Brigade. On 14th February, 1920, O’Duffy’s unit successfully captured the R.U.C. barracks at Ballytrain. During the Civil War O’Duffy was appointed head of the South Western Command. In September 1922 he retired from the army to become Chief Commissioner of the Garda Siochana in September 1922. He held the post until being dismissed by Eamon de Valera in February 1933. O’Duffy became active in the fascist movement and was given command of the Army Comrades Association (also known as Blueshirts). O’Duffy renamed the movement the National Guard. He also organized marches, flags, salutes (“Hail O’Duffy) based on those in Nazi Germany. This led to fighting in the streets between the National Guard and left-wing groups. In August 1933 the government banned the National Guard from marching to Leinster Lawn. The following month O’Duffy helped establish the Fine Gael Party. O’Duffy became president of the party but he caused considerable controversy when he described the Irish Republican Army as a communist organization. In August 1934 O’Duffy was forced to resign from the presidency. On the outbreak of the Spanish Civil War O’Duffy began recruiting volunteers to go and fight in the war. Supported by the Catholic Church in Ireland and by right-wing national newspapers, O’Duffy and the first volunteers travelled from Dublin on 13th November, 1936. It has been argued that the men who went to Spain were mainly motivated by a desire to defend the Catholic Church in Spain.